Primary care physician serving the health needs of families in the North Houston & Spring area. Our mission is to provide compassionate comprehensive primary care to the community. Our goal is to help every patient live a healthier life. 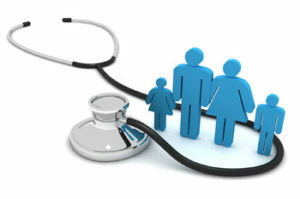 Willow Brook Medical Center provides complete and comprehensive primary care for your whole family in Houston, Texas. Our goal is to help every patient live a healthier life through primary prevention using evidence based screening and providing immediate care for your acute illnesses when you need it most. We hope that–by providing primary prevention and comprehensive care–we can achieve our mission to keep your entire family healthy. Thank you for choosing us to be your primary care providers. Complete Physicals – According to Age & medical History May Include: urinalysis, blood testing to include diabetes screening, cholesterol, kidney and liver function, PSA in men, PAP test in women, thyroid (if indicated), breast, prostate and testicular cancer screening, EKG, chest x–ray (if indicated). We also will order a stress-test if indicated. Cancer markers are ordered as needed.